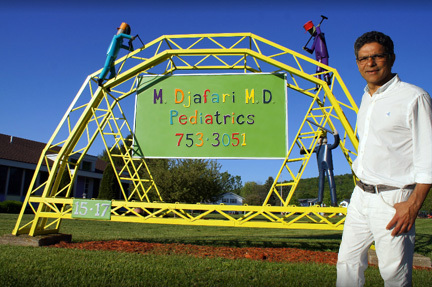 Djafari Pediatrics is dedicated to providing high quality, comprehensive care to our pediatric patients in a comfortable and supportive atmosphere. We strive to guide our patients to adulthood in optimal physical and mental well-being and in possession of the knowledge and motivation to maintain a healthy lifestyle. We do understand that in today's busy world, occasionally situations come up that are beyond our control. In those instances, we do request you extend us the courtesy of 24-hour notice. Repeated no-shows without timely cancellation may result in discharge. 15-17 Kennedy Parkway • Cortland, New York 13045 • Office: (607) 753-3051 • Fax: (607) 753-7735 © 2018 Djafari Pediatrics. All rights reserved.